Imagine if you could see what your spirit looks like. In what condition do you think it is? What is the first image that strikes you? Do you think it’s being sustained? I wonder if our first impressions of our “spirit man” are accurate. We probably have a pretty good handle on preparing for our natural body to be taken care of, but do we put the same amount of effort into ensuring our inner man is thriving? We are diligent to plan meals, grocery shop, cook, bake, and most of all…eat! But what about feeding our spirit man? The thing is, we need to care about the sustainment of our spirit. I know that I haven’t always cared, but I’ve learned when I’m intentional about keeping the condition of my spirit healthy, it makes a huge difference in my walk with God. We all sense the battle between our fleshly desires and our spirit. The key is this: a strong spirit man it will help us overcome our soul and emotions. The other day I studied Exodus sixteen when the children of Israel were wandering around in the wilderness and God gave them manna to eat. 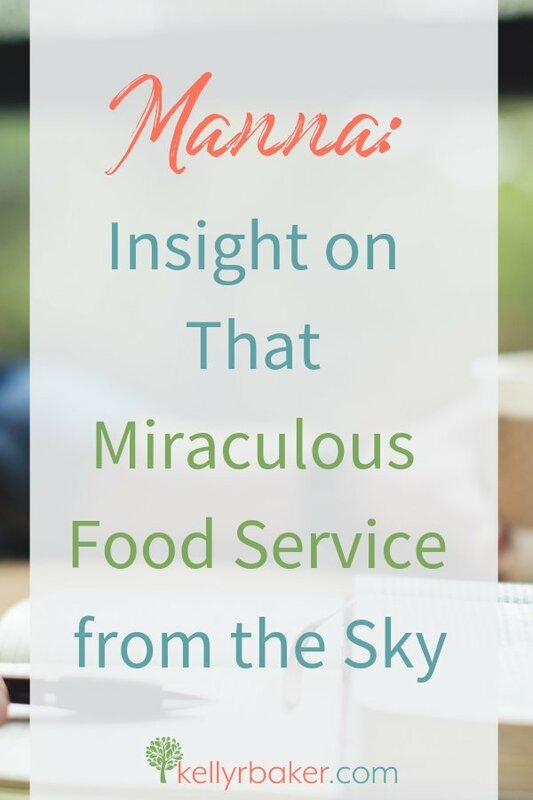 The chapter detailing this miraculous food service from the sky is pretty intriguing. I found the analogies we can apply to our walk with God fascinating. Source – the bread rained from heaven. It was a supernaturally provided gift from God. He was their Source. Instructions – the people were to go out and gather. God provided the manna every morning, but it was the people’s job to go out and gather it. Amount – a day’s portion. We learn from verses 16-18 that the portion gathered was just enough to fill or satisfy the hunger of each person. If they tried to gather more than a daily portion, it would be rank and be crawling with worms (verse 20). Yum. Frequency – every day. 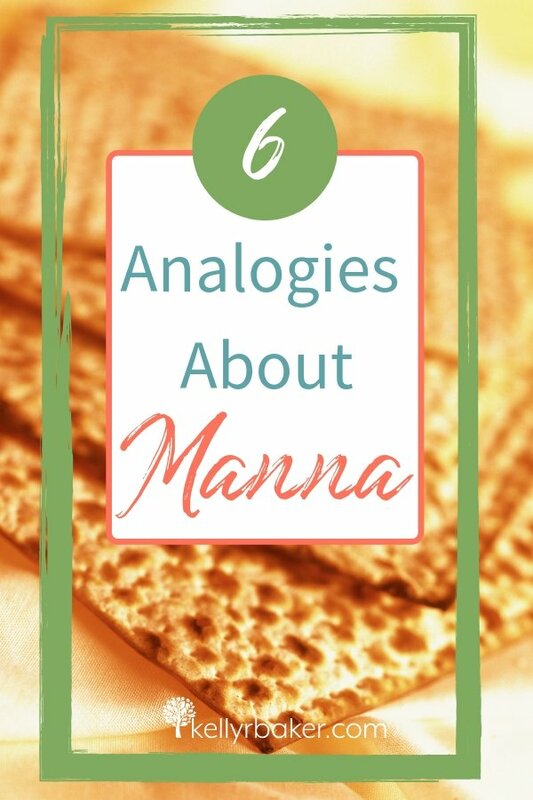 Manna was provided six days, and on that sixth day, they were to gather double to have enough to get them through the Sabbath (vv. 5, 22-24). If they didn’t follow those specific instructions they went hungry (vv. 25-29). Purpose – God was testing them to see if they would regularly obey His instructions, and to teach them dependence on Him. Specific Reason – God wanted them to know that “man doesn’t live by bread alone, but by every word that comes from God’s mouth” (Deuteronomy 8:3; Matthew 4:4). Spending time with God is enjoyable when we realize how much He loves us. He’s not standing over us with a whip. He desires to commune with us every day. Our Creator can’t wait for us to wake up each day just so He can talk to us! He loves us! I mean, have you read Psalm 139 lately? God’s words have the power to strengthen, refresh, revive, hearten, feed, nourish, support, comfort, encourage, and cause us to live. They are our sustainment! Jeremiah discovered this. As he “put” God’s words into his spirit man, they became “a joy and the delight of [his] heart.” He said he was called by God’s name because he belonged to God. In 1 Corinthians 10:3, the manna is referred to as “spiritual meat.” God has provided a spiritual portion for us every morning. It’s our job to go out and gather it! When we do, we will also know that we do not live by natural food alone, but by the sustainment of His Word. How are you building the habit of nourishing your spirit? Do you need help to build a consistent Daily Time with God? I created the Daily Time Challenge with you in mind! Click for details. Powerful thought, Kelly, “God was testing them to see if they would regularly obey His instructions, ” Regular obedience is a daily struggle for me. Thanks for the awesome thoughts. I think it is for us all, Steve, but I think it gets easier the more we do it. Not no;) right before the Exodus 16:4. Other than than I throughly enjoyed this article and agree. I think we should examine and consider what we are doing for our spirits. Are we fit or following Jesus.? What’s oureally state of our soul? I love your HeartWords. And this is a Good Word. Awesome post Kelly! I have fallen out of habit the last couple days, but the sun is shining and your post was convicting…I’ll be outside with my bible and journal!